Arrival on site U1471 (MAL-07) at 15:45 yesterday. 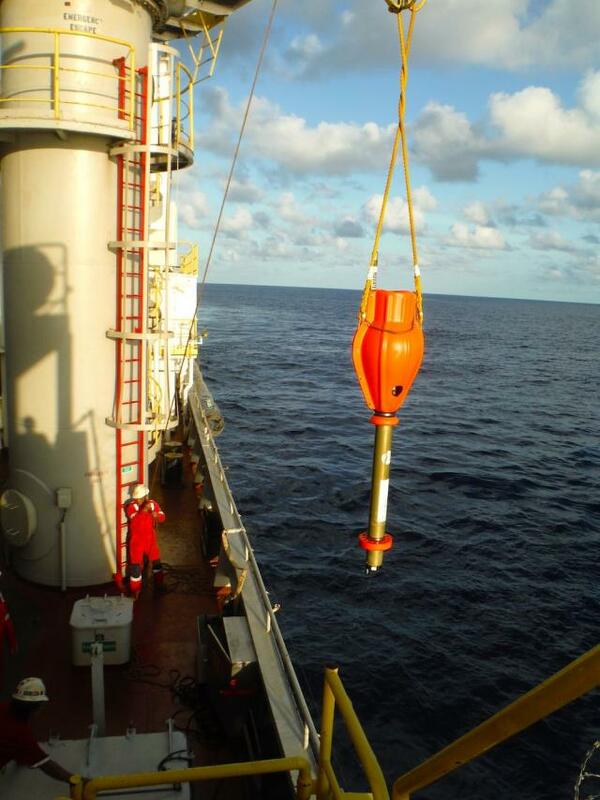 The positioning beacon was deployed at 5:00 pm and coring began. The 1st carrot arrived on the bridge at 20:55 with an overlap of 4.62 meters. The depth is set at 430.5 mbrf (= meter below rig floor). 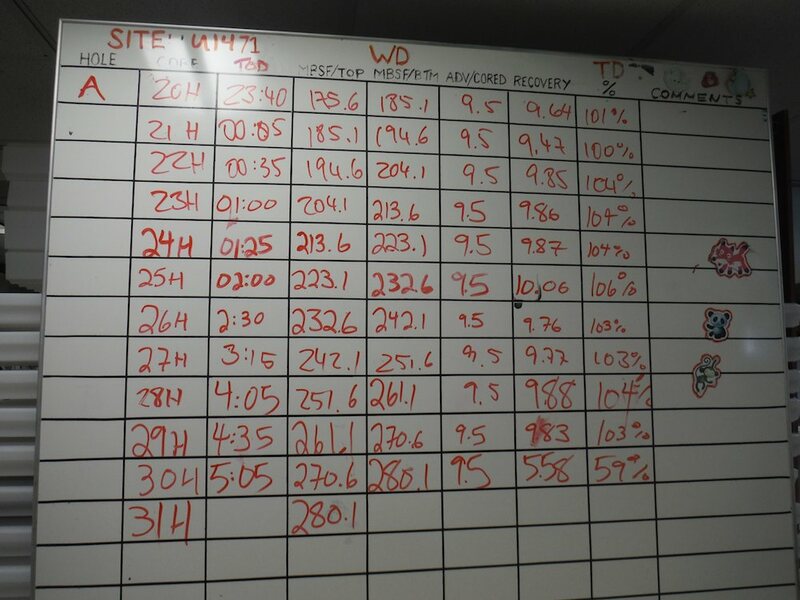 Between 21h and midnight, the cores allowed the sections 2H to 9H to rise to 511,1mbrf (ie 80,6m below the seabed level: mbsf). 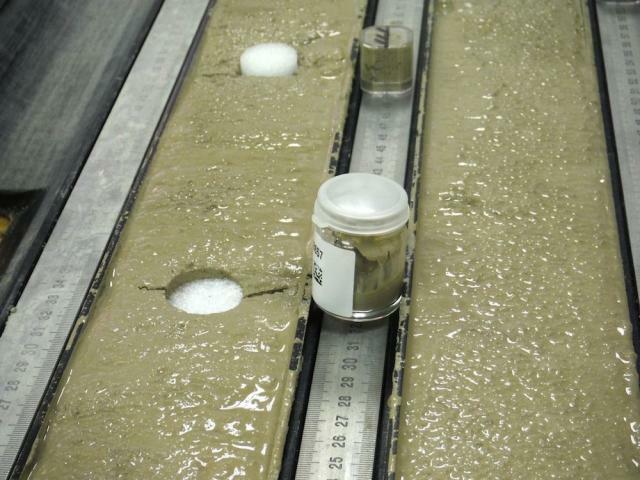 This morning at 7:30 the coring continued, the “core” 26H arrived on the bridge coming from 242.1mbsf. 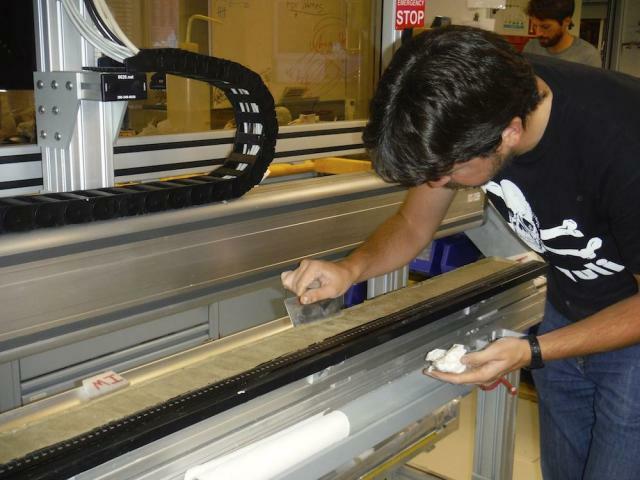 The objective of the next 24h is to continue on site U1471A (MAL07A) up to a total depth of 950mbsf and then deploy the chain of measurements continuously, in situ: in the hole (cf qq posts higher!). All this means that the carrots are coming to a good rhythm in the labs and our night shift scientists have had a sustained cadence that will obviously extend to the day shift ….